You all know the saying ..”April Showers Bring May Flowers“,well my #HeighPartyof3 decided to put the theory to the test and headed to Wilmington NC & Island Beaches to discover What’s In Bloom! In the past, we have visited during the summer as a fun, “Family Travel” destination and also spent a “Daycation” in Wilmington NC & Island Beaches because for us it’s just a 2 hour roadtrip from Raleigh, NC. This was our first time traveling to Wilmington NC in the Spring and I thought instead of flowers as a gift for Mother’s Day, why not experience botanical gardens and more in this beautiful city! With just 24 hours to explore, there is so much to get outside and do here. Take a look at our weekend itinerary filled with nature-theme activities the whole family can enjoy! Before you explore, make your first stop at the main Visitor Information Center, located at 505 Nutt Street in Downtown Wilmington. It opens on Saturday at 9am and is open daily except for Thanksgiving/Christmas. You can get any questions answered by staff, pick up maps, guides and vacation coupons! Take a self-guided walking tour at Airlie Gardens , a 67 acre historical garden in Wilmington. We took advantage of the complimentary tram ride and learned so much about the lush gardens and its rich history. Go and see a 468 yr old Airlie Oak, Azaleas, and the Butterfly House. Learn about Minnie Evans, an African American woman who was a domestic who sold her artwork at Airlie. She once said ” God has some 600 shades of green, and He dressed the world with them.” She died in 1987 and local artists created the Bottle Chapel, a memorial sculpture garden, in 2004 in her honor. It was such an amazing sight to see! All that walking will surely work up an appetite! Sweet & Savory Café is close by and offers a Saturday Brunch. This farm to fork restaurant in Wilmington is known for its variety of menu choices and fresh baked goods at their bakery. 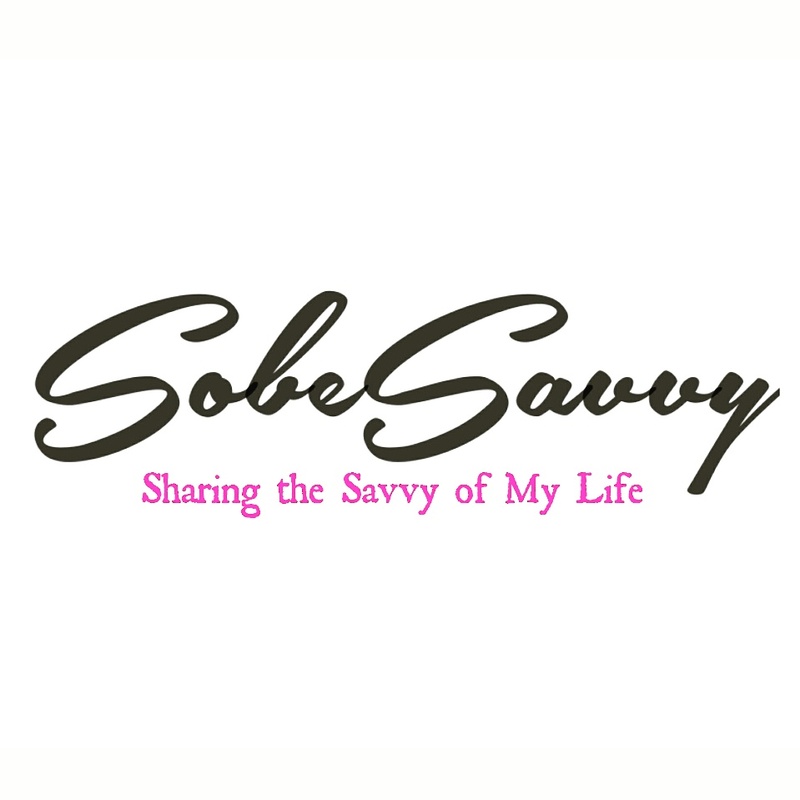 SobeSavvy Tip: Short on time or rather have a quick bite to go? Grab something at Port City Java. I enjoyed an iced coffee for a caffeine boost before our next activity! We checked in at the Hampton Inn Wilmington/Downtown and got changed into our bathing suits for some fun in the sun at Wrightsville Beach, located just 15 mins away from Downtown Wilmington. It’s a spacious, clean beach with clear blue waters and is one of the most environmentally friendly beaches in the state. We collected shells to take home as a souvenir and our daughter played by the shore until it was time for dinner at Oceanic Restaurant attached to Crystal Pier. *Be sure to check back here for my #FoodieFriday review of our dining experience at this restaurant. Wrightsville Beach is a walkable beach town with the beauty of nature all around! The Arboretum at New Hanover County closes at 8pm which made it a great last stop of our day. It happened to be prom night and many people were there to capture the perfect photo. Visit the 7 acres of nature trails and gardens, which include a Japanese tea house, gazebo, children’s cottage, ability garden and water garden for FREE! Sunday,Mother’s Day..all I want to do is sleep in but when you have a six year old daughter who’s motto is ‘Carpe Diem’, you get up early and seize the day! We enjoyed brunch with a view in Wrightsville Beach at Bluewater Waterfront Grill (which you can see a few of my photos here + stay tuned for my #FoodieFriday feature) before our visit to the North Carolina Aquarium at Fort Fisher in Kure Beach. It’s worth the short drive from Wilmington to see more than 2500 animals and the 2 special exhibits: Dinosaurs! and Butterfly Bungalow. The cherry on top of our Sunday Funday at the Aquarium was when one of the butterflies landed right on my husband’s hand! My whole family had a fin-tastic time at this attraction learning just how much animals and nature are connected to each other. We did not plan to have another beach day but our daughter’s pleas and the call of the ocean breeze encouraged us to stop at Fort Fisher State Recreation Area. It is right down the road from the Aquarium so it really was a convenient stop. This public beach is great for bird watchers because alot of nature is unspoiled here. Did you know that one of the only places in the world where you can see the Venus flytrap growing in its native environment is at Carolina Beach State Park? See the rare Venus Flytraps for FREE and learn about one of the world’s most unique carnivorous plants! SobeSavvy Tip: Ranger-Guided tours of the park’s Venus flytrap trail are available Saturday and Sunday mornings at 10am. I recommend the guided tour, as the flytraps can be hard to find on your own. Be sure to wear closed-toe shoes with socks for this guided tour. Insect repellent is highly recommended as are long pants. You can always change back into shorts and sandals in the park’s visitor center bathrooms. The hikes meet at the flytrap trail head and depart promptly at 10am so be sure to arrive in time to park and meet. If you gey hungry after hiking the nature trails, go a half a mile to dine at Michael’s Seafood and enjoy fresh seafood dishes like loaded oysters and snow crab legs! Thank you to Wilmington and Beaches CVB and the attractions who welcomed my family and I to experience nature-theme activities and feature them in my 24 hour itinerary. I hope you and your family will review this travel guide and take the opportunity to visit Wilmington NC & Island Beaches soon to see What’s In Bloom! Aw, it looks like you had a great time with your family. I’ve never been to the Carolinas but this is a reason to visit! You can do so much at this one destination in NC. Definitelybadd it to your to visit list! Oh I am definitely taking my kids up to Wilmington. You shared so much goodness. We love the beach, they love aquariums and I must see the butterflies and that space dedicated to Minni Evans. Yes..pack up the kids and go! We had a blast! Thank you Azanique. We enjoyed our fun with nature weekend! You’re making me want to drive to NC. We could visit family and your recommended spots! Some friends from Atlanta joined me lastbyear there for my #44bytheshore birthday weekend. They said it was an easy drive. I love North Carolina. I lived there but only for a year while I was at school. It’s such a beautiful state and surprisingly there’s so much to do. Wilmington is such a fun place with a plethora of things to do. We typically visit once or twice per year because it’s a relatively short drive for us. The aquarium is great and Sweet & Savory is one of my FAVE breakfast spots. You guys had a fun-filled weekend! I absolutely love both Wilmington and Carolina beach! I haven’t made it to the gardens but will add it to my list after seeing those photos! Looks like a great weekend! Happy belated Mother’s Day! Thank you for the recommendations! I came across your post on Pinterest. We are heading to Carolina Beach and Wilmington later this summer and I’m excited. I had no idea about the Venus Fly Traps! That’s some interesting information. Awesome! I am glad to have helped. Enjoy your visit!